Some people are obsessively invested in climbing the social ladder. Author Nimrod Kamer (Vice, GQ) undermines this from within as he inserts himself in numerous political or celebrity events. His résumé lists Uber trolling, penetrating members' clubs and invoicing celebrities for editing their Wikipedia page. 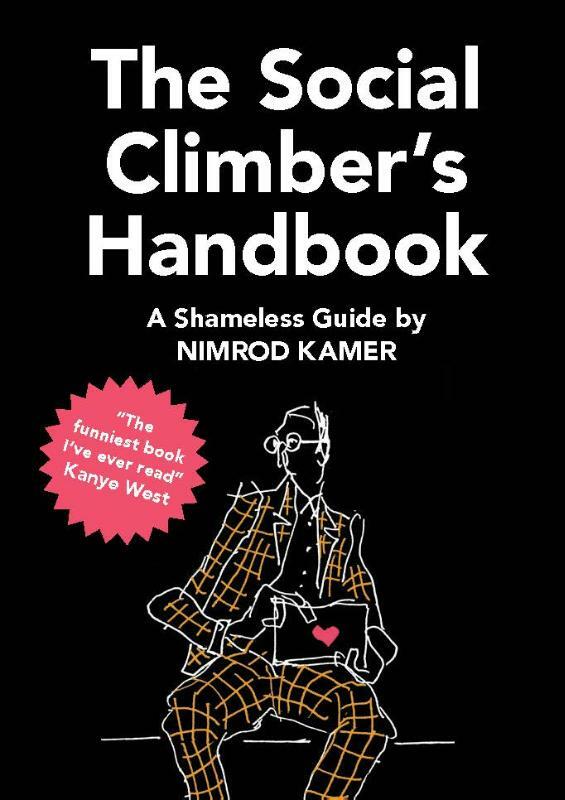 The book is full of humorous tips and tricks based on the experiences of the author (the self-proclaimed most ambitious social climber alive). With a witty and provocative pen, he shows how to penetrate a world that's obsessed with status. High skilled jobs are going away to machines, no one will help you get ahead in life if you don't grow some guts mixed with disesteem and disrepute. Forget your dignity, let yourself be thrown out once in a while or blacklisted, wear their loathing with pride. Some say social climbing is crass and rude, actually it's just an appropriate form of class warfare. The world's obsessed with status not skill, and attempting to change it from outside is futile. The only way to throw some shade of your own is shamelessly undermine high society from within. 175 x 125 x 14 mm.